Little Maya has a special blanket that Grandma stitched with her own two hands. 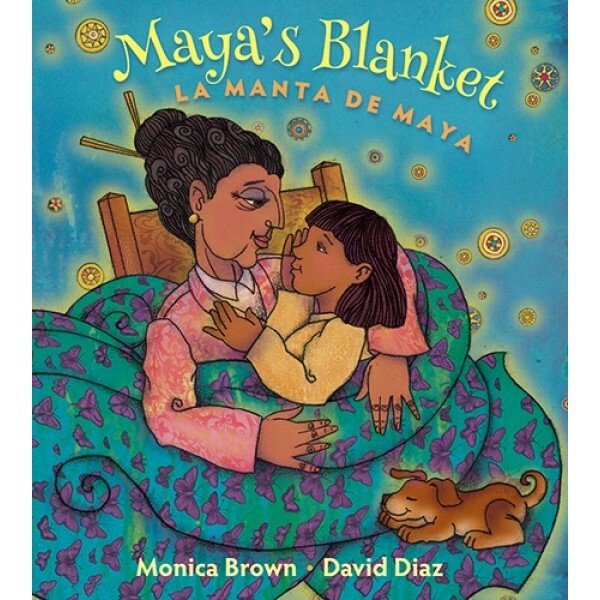 As Maya grows, her blanket becomes worn and frayed, so with Grandma s help, Maya makes it into a dress. Over time the dress is made into a skirt, a shawl, a scarf, a hair ribbon, and finally, a bookmark. Each item has special, magical, meaning for Maya; it animates her adventures, protects her, or helps her in some way. But when Maya loses her bookmark, she preserves her memories by creating a book about her adventures and love of these items. 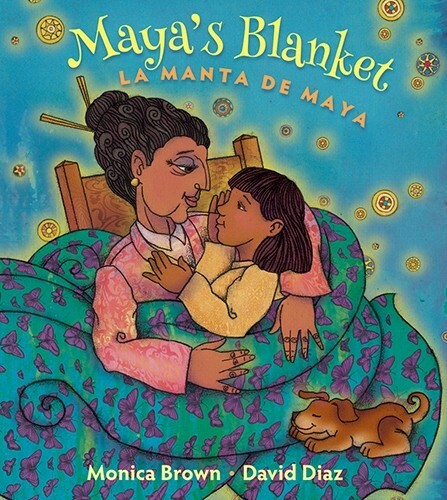 When Maya grows up, she shares her book Maya's Blanket / La manta de Maya with her own little daughter while snuggled under her own special blanket. Inspired by the traditional Yiddish folk song Hob Ikh Mir a Mantl (I Had a Little Coat), this delightful story puts a child-focused, Latino spin on this celebration of creativity, recycling, and enduring family love.